Get 5% off all orders at Feel Good Contacts with this exclusive promotional voucher code discount. Even though you don´t need to show the actual prescription, you should have an up-to-date prescription (from an eye test you’ve had within the last two years). Once you´ve found the right contact lenses for you, click ´Add To Basket´ button. Take a look at your shopping basket, and choose delivery options. You can either proceed to checkout or continue shopping. If you want to continue shopping, you can review your basket when you click on the shopping bag icon on the right side of the website. When you proceed to checkout, you can enter your login information if you´re an existing customer, or you can create a new account if this is your first order. Once you´ve logged into your account, you´ll see your delivery and billing address, as well as a box where you can enter your promotional code. Enter the code and click ‘Apply´. Choose a payment option, and you´re done! 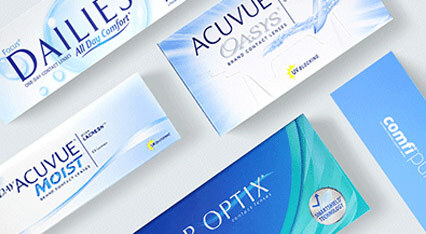 Feel Good Contacts sells various brands of contact lenses, including Acuvue, Biofinity, Boston, and SofLens. Not only you can shop for contact lenses, but you can also buy some solutions and different eye care products. And don´t forget to check the sunglasses´ section - you´ll find some really cool brands, such as Calvin Klein, Ray-Ban, Police, and many more. With Feel Good Contacts, you can order your contact lenses even if you don´t have your prescription. This promo code cannot be applied in conjunction with any other discount, that includes cash back sites.